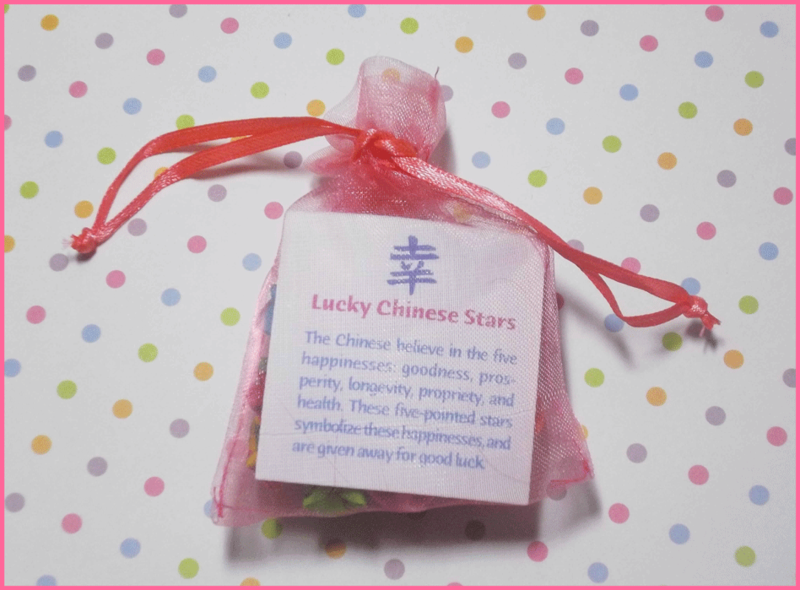 Thank Your Lucky Chinese Stars! 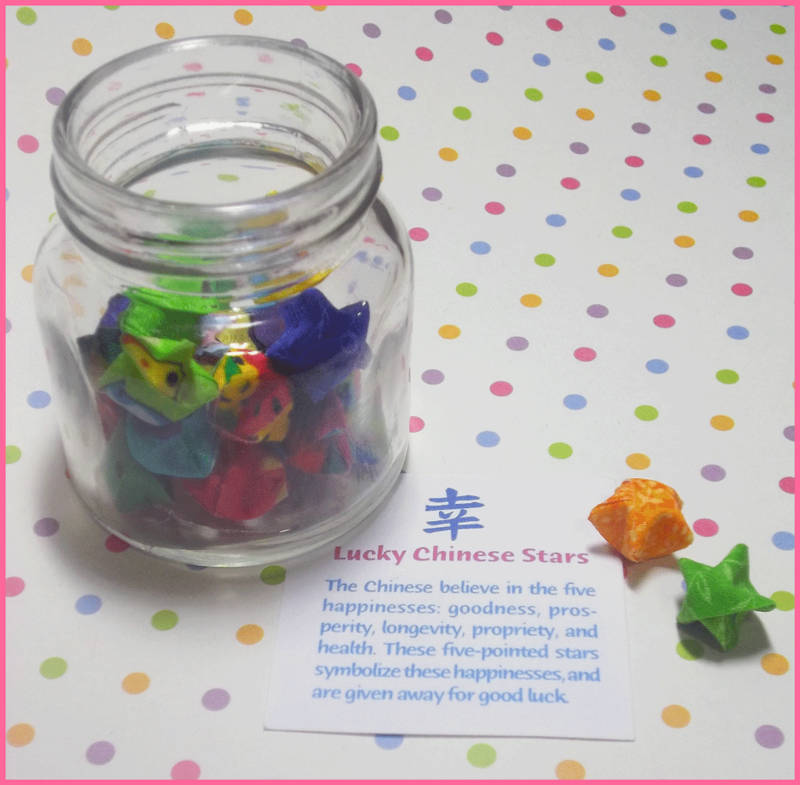 From Wendy’s Origami on Etsy comes the 25 pack of bright Lucky Stars! 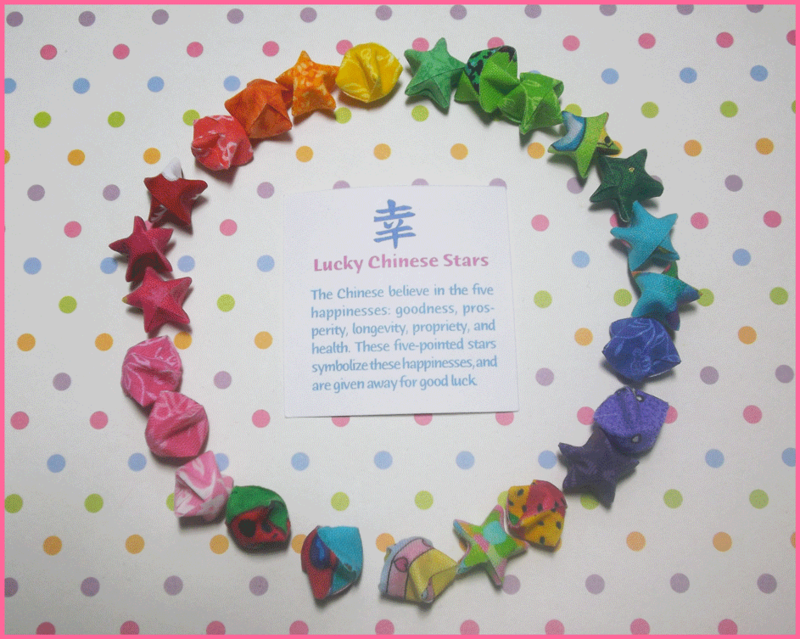 Many years ago Maru showed me how fold paper Lucky Stars. They are cute and make great decorations however they are really easy to crush so when I saw these premade colorful fabric stars I just had to have them!